With leisure time becoming all the more valuable, and campers becoming all the more expensive, we require innovative solutions to new problems. 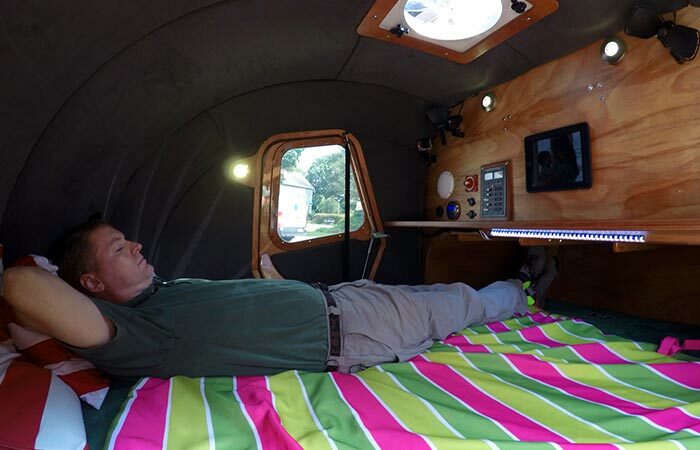 Thanks to the ingenuity of John C. Harris from Chesapeake Light Craft, you can now own your own teardrop camper for a margin of the price. Introducing CLC Teardrop Camper Kits! Easy to assemble, stunningly crafted, and compact, the Teardrop Campers is a must-have for every small vehicle owner. Despite its small size, these Teardrop campers are also structurally strong enough to accommodate all of your camping toys. John Harris was inspired by the fact that he owns a Mini Cooper, and still wanted to go camping. 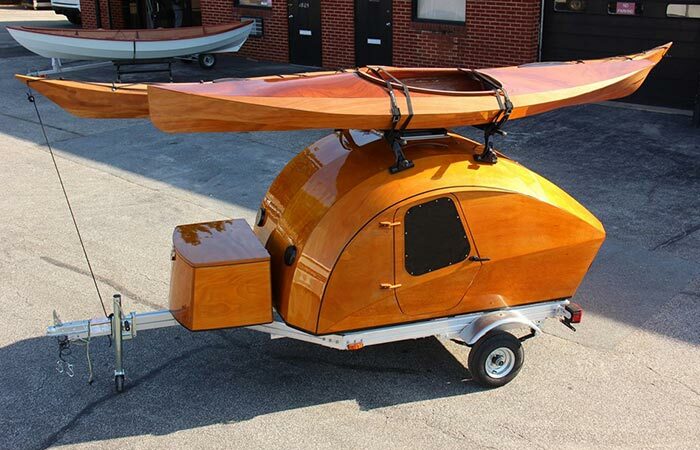 So, inspired by this idea, and understanding the quality that goes into boat building, he set out to make it simple for everyone to own a teardrop camper, with elements of boats designed into it. The result was a 5’ x 8’ (1.5 x 2.4m) teardrop that looks much better than the usual “canned ham” aesthetic of most teardrops. Check out the video below. Despite being compact, at 5′ x 8′, it’s still large enough to accommodate two adults measuring in at 6’6″. Even though it might seem small, this teardrop is surprisingly roomy inside, and two adults measuring up to 6’6” can easily fit and stretch inside it. It also comes with large doors on both sides, and a 15” square hatch on the roof. There’s also space for a 12-volt electrical system that can run lights, fans, and charging points. All in all, these teardrop campers are something to behold, and definitely something to own. Get it from CLC here. 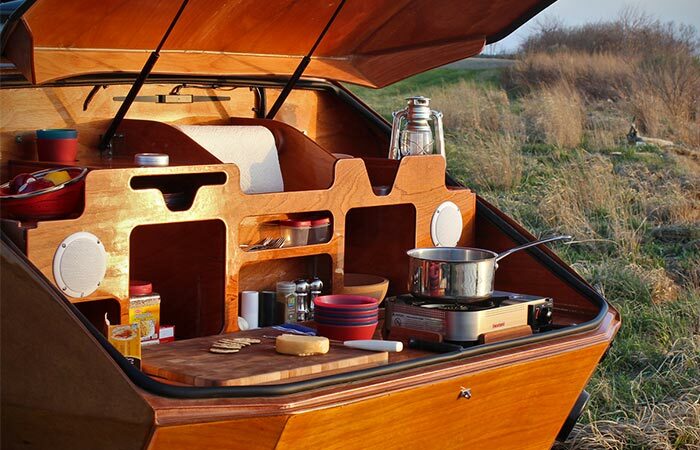 With a variety of add-ons, you can also mod the Teardrop to have a built-in kitchen.